This sturdy and stable feeder comes in two pan widths: 10” and 15”. 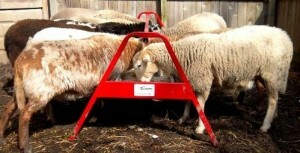 They are easy to move around and are very economical grain feeders. 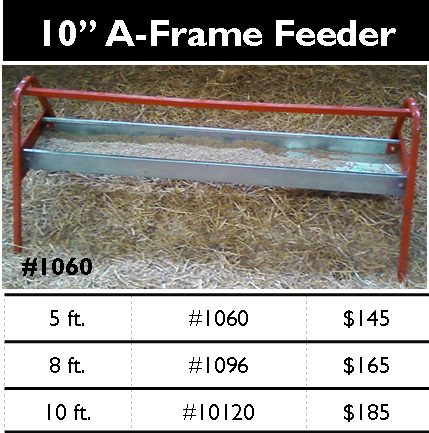 The 10” feeder has an A-Frame made from 1” square tubing with a base of 29” and the top of the pan is 15” high from the ground—ideal for creep feeding lambs and goats. 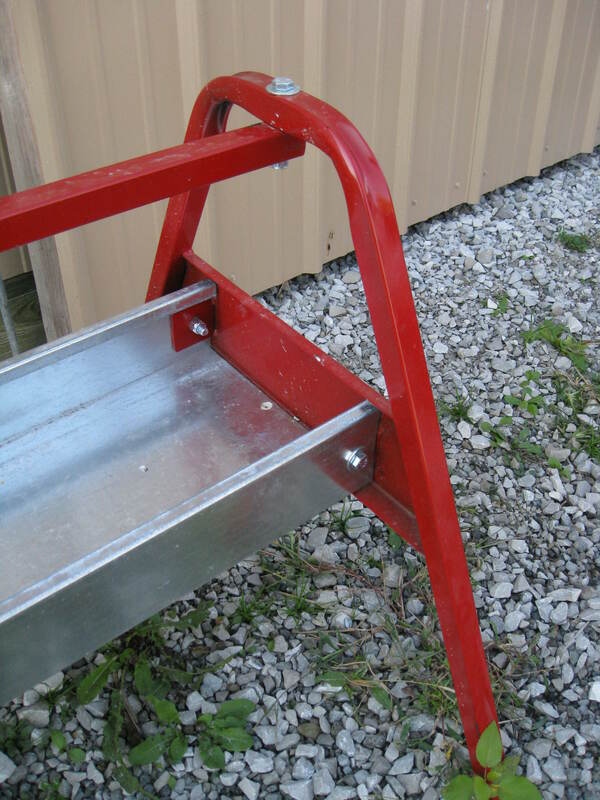 The 10” pan and support bar is narrow enough to help prevent goats from jumping in the feed pan. 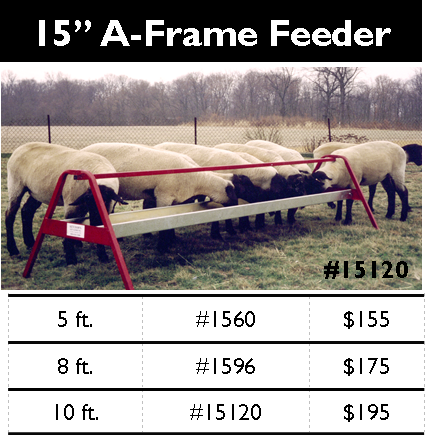 The 15” feeder has an A-Frame made from 1 1/4” square tubing with a base of 39” and the top of the pan is 18” high from the ground—ideal for feeding lambs and ewes. 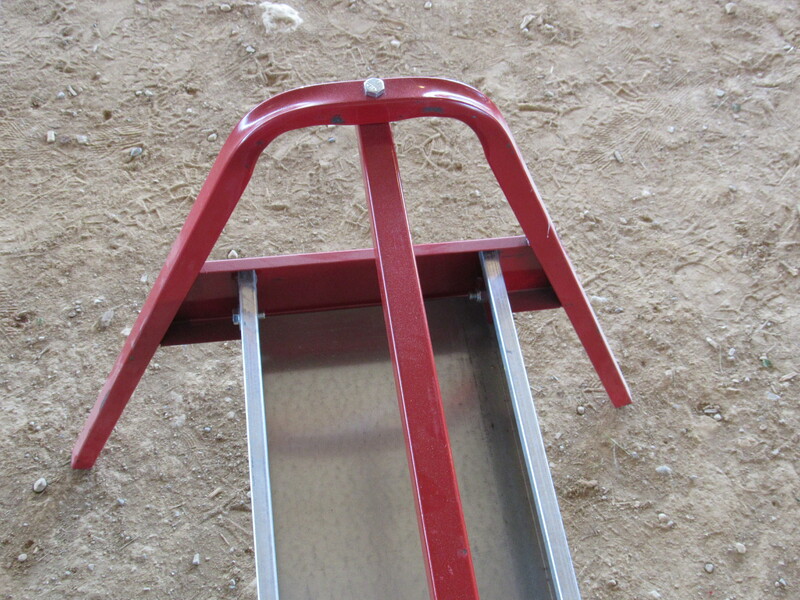 Pans are 18-gauge U.S. galvanized steel. 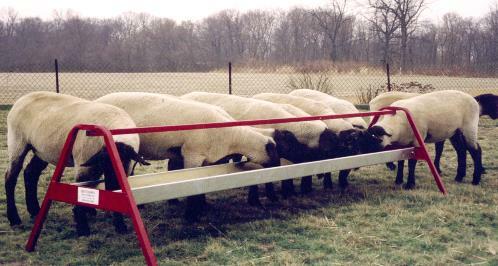 The base is wide enough that the feeders will not tip over. 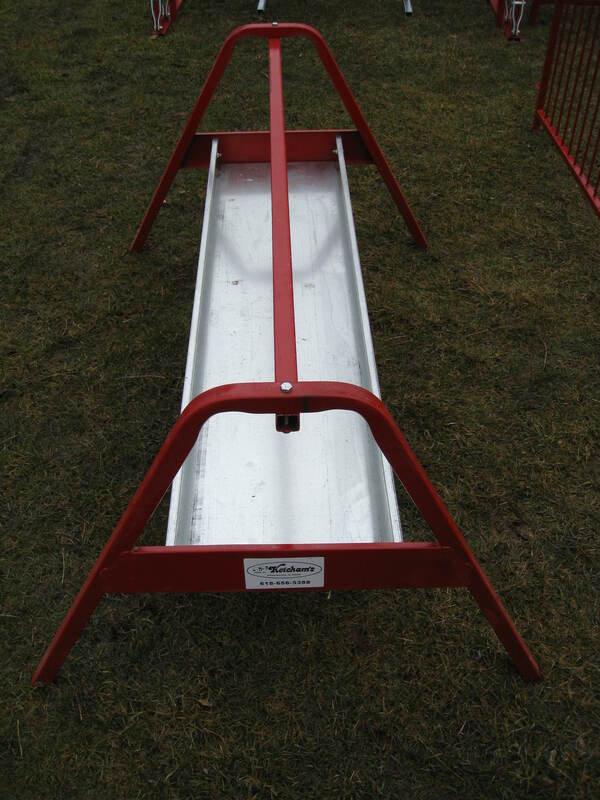 Ship most economically in pairs.